Sea Constellation - in the tradition of Sailor Valentines. Against the back drop of a white scallop, a constellation of glittered starfish dance the night away on a seashell island. White ark shells and sparkling Swarovski "diamonds" circle the base. Most of the shells are ivory or white. This wedding cake topper is perfect for a 6 inch wedding cake top. 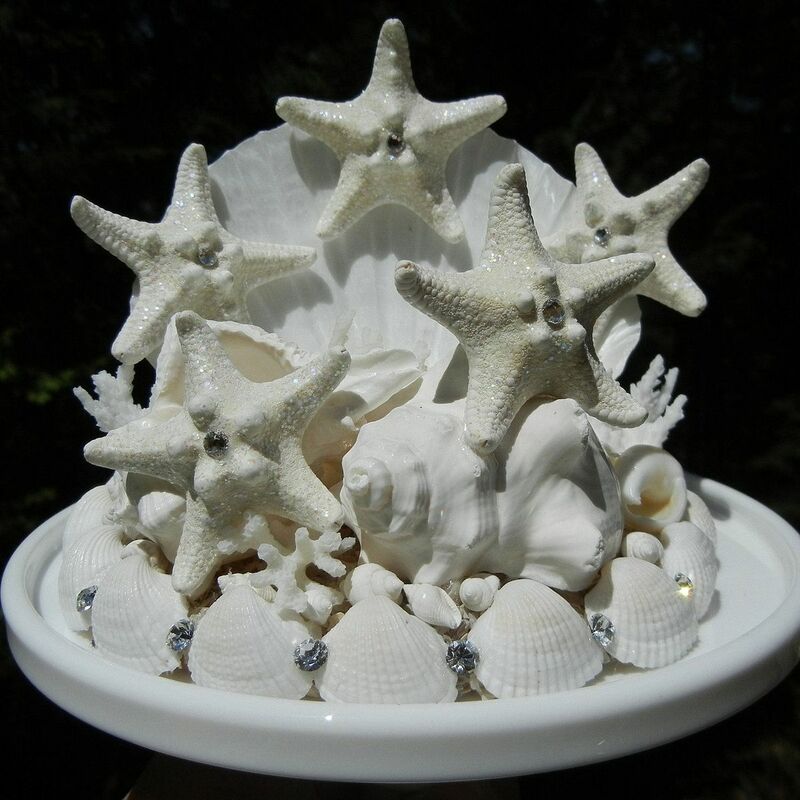 The base is 4.75 inches in diameter and made from non-toxic polymer clay infused with glitter to resemble the beach in sunlight or moonlight.